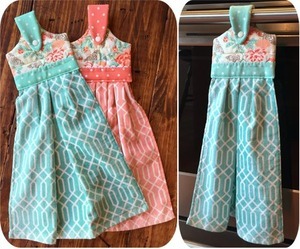 These adorable designs will make great gifts for Mom, brides, friends, etc. What is IN THE HOOP? 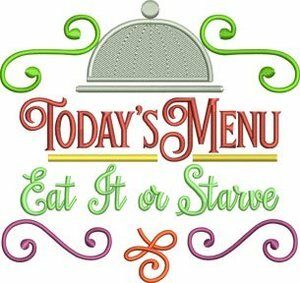 Towel Toppers 6x10 hoop Actual Design File Size 6.00" x 9.99"
Hot Mitt / Pad 6x10 hoop Actual Design File Size 6.00" x 9.98"
Stitch these 3 fun designs onto aprons, wall hangings, towels, etc. to brighten your kitchen. 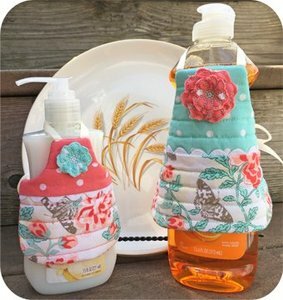 They are perfect for creating gifts for showers, Moms and friends. Note: instructions for the projects shown are not included. 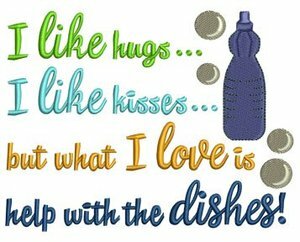 Life is A Kitchen: 4.51" x 5.83" & 6.01" x 7.76"
I Like Hugs: 4.09" x 5.35" & 4.60" x 6.02"
Today's Menu: 4.85" x 5.13" & 5.69" x 6.02"
Coordinate your kitchen with this set of coasters / hot pads, dish liquid and hand soap bottle aprons, jar grippers, towel toppers and hot mitt hot pad. You have the option of using purchased rick rack when stitching these designs like our samples show. It's optional but really adds a special touch to the set. All of the design feature simple, classic quilting. 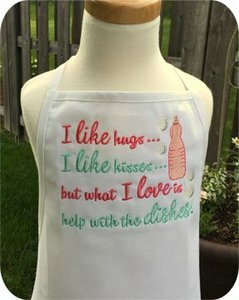 Did your Mom have an apron on the dish liquid bottle next to the sink when you were growing up? 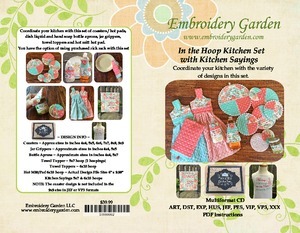 Create these adorable aprons completely in your hoop. 2 sizes are included. One for dish liquid bottles and one for hand soap bottles. You get the file for the flower embellishments too. You get 6 sizes of coasters / hot pads in this set. 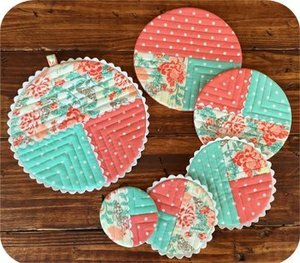 They're round, quilted, stitched in your hoop and oh so pretty! Stitch our unique, exclusive jar gripper designs in your hoop. 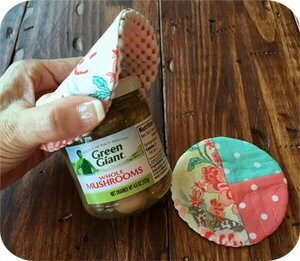 They're perfect for helping you open those tight lids. 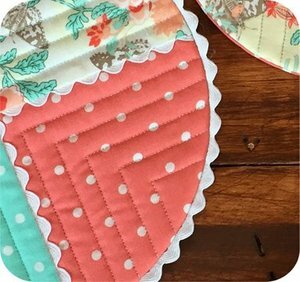 Our towel toppers are quick and easy to stitch. In addition to the 6x10 hoop size topper, we've included a 5x7 hoop version that's completed in 2 easy hoopings. Both size files finish to the same size topper. 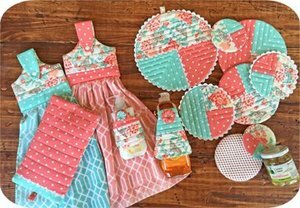 Machine stitch the towel inside the topper to finish off these fun & useful designs. 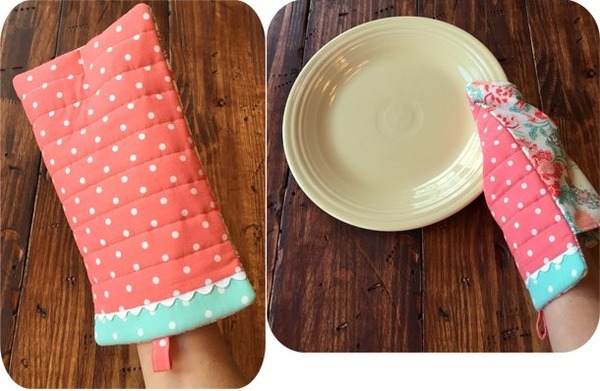 You won't believe how easy this hot mitt /hot pad is. Note, instructions for this project and the ones shown below are not included. 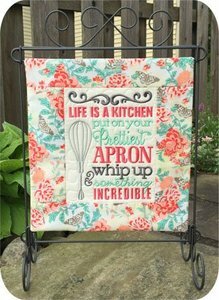 This design is so cute stitched onto an apron. 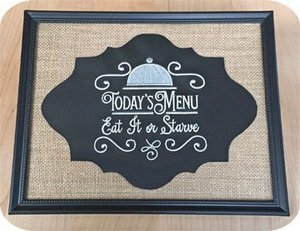 We stitched the Today's Menu design onto chalkboard fabric that was cut into a shape then placed it over a piece of burlap inside of a frame. Embroidery Garden #44 Wrist Pincushions Set Designs on CD, Heart, Flower, Round and Square Shaped Pincushions.